Dr Wei Luan is the postdoctoral fellow of Developmental Neurobiology laboratory in Queensland Brain Institute. 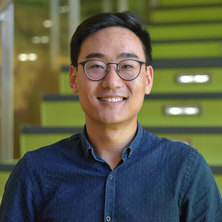 Dr Luan's research focuses on the mechanism how risk factors of mental disorders alter the brain development, particularly the midbrain dopamine neurodevelopment. He finds developmental vitamin D deficiency, a epidemiologically proven risk factor for schizophrenia and autism, negatively affects the expression of key dopamine differentiation factors. Dr Luan's research also focuses on the neuroprotective effects of maternal vitamin D supplementation on dopamine development in vivo. He has proved that vitamin D rescues the prenatal dopamine abnormalities and behavioural phenotypes induced by maternal immune activation. Dr Luan’s research demonstrates the absence of vitamin D ligand during pregnancy directly attenuates the key dopamine transcriptional factors during dopamine neurogenesis. His work also raises the possibility that early dietary supplementation with vitamin D may prevent neurodevelopmental disorders following maternal infection during pregnancy. Developmental Vitamin D-deficiency and Autism; exploration of potentially causal mechanisms. Maternal Immune Activation adversely affects the ontogeny of dopamine neurons. Is Vitamin D neuroprotective?